Stop by for sharing, learning, connecting with other like-minded business owners of our community! While we may live in a digital world, face-to-face networking hasn't lost its importance. In fact, the presence of online networking makes in-person networking even more powerful in terms of driving a unique connection. At the ProBiz Centre, Coffee Connections is not just another networking event, but an opportunity to contribute to a thriving community. We love our community. We love to think that every time we come together, we are creating lasting bonds, mutually supportive links to one another so that link by link, business by business, our community maintains its health and vibrancy. 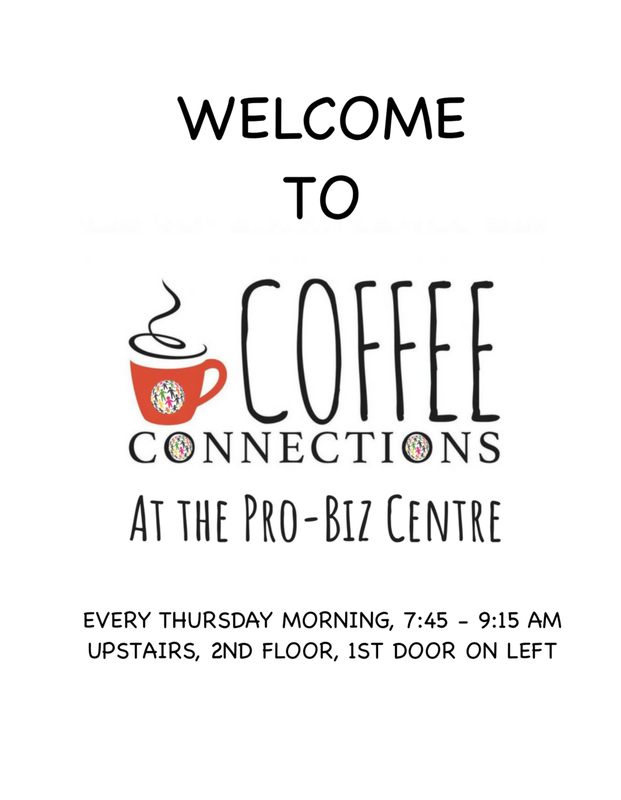 Come join us at ProBiz Centre every Thursday morning, 7:45-9:15 am for Coffee Connections! 5 min Business Tips with Darren Daily PLUS opportunities for discussion.